Here's a quick post to show you guys , this fruity manicure I did today =). ..Therefore I decided to make up for it , using image plate SdP C06. - La Femme Beauty - Lime Cream & Orange Cream. - Sinful Colors - Unicorn. - Konad Special Yellow, Green and Black Polish. - I applied 1 coat of La Femme Beauty's orange Cream. - I then sponged Sinful Colors Unicorn. - I then Sponged Konads Special Yellow Polish over this - to make it stand out =). - I then Sponged La Femme Beauty's Lime Cream on the tip of my nail with Konads Special Green polish. - I then Matte'd my look up with - Rimmel London's - Matte Finish. 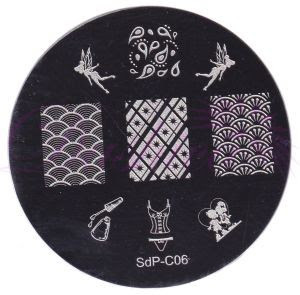 Here is the awesome SdP C06 plate that I used to do my manicure =). Crikey. That's a work of art even before the Konad. Wow! jaljen is right. You're an artist! Cute, I love the gradient ! so pretty honey! 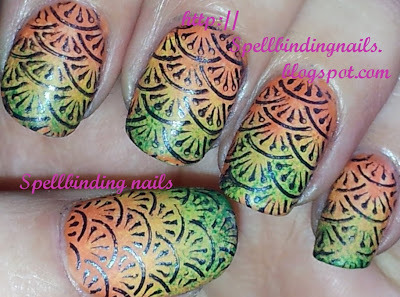 I love how the stamp doesnt look like fruit until its on the nails either! 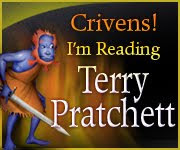 I am seriously in LOVE with your blog! I love your creativeness! Very cute, I love this mani! WOW... This is nail perfection! It all ties together SO well! 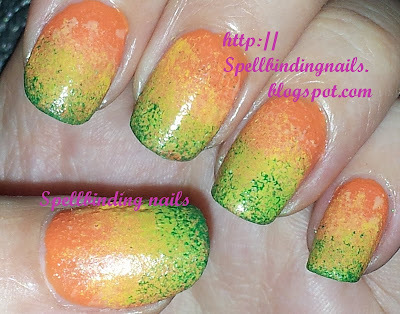 I love this fruity mani...its absolutely cute!! I cant imagine a mani with such bright colours look soo nice. Thank you sweetie - as soon as I saw the plate I loved this image! /Blush -wow thank you hunny =) That means a lot to me! So cool! Those colours compliment each other well and you did an excellent job of sponging so that all the colours blend nicely instead of a harsh line. This is the perfect Sumer mani it's like fruit salad on your nails so cute, that image plate looks awesome I need to get some of this brand. I love this both with and without the stamping. The base actually reminds me of a mango peel. Mango <3. So pretty! The Charming Nails Q1 plate! SdP D18 + ' A Sparkly Pink Pattern '.